In a historic vote on June 23rd, 2016, the United Kingdom chose to leave the European Union. The step to British isolation sent the markets on a carousel ride. 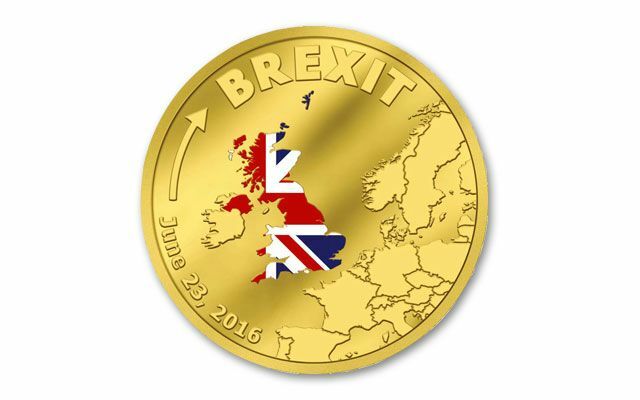 This event – one of the most significant moments in EU history – is subject of a new CIT smart minting gold issue. The delicate 26 mm, 1/10oz. 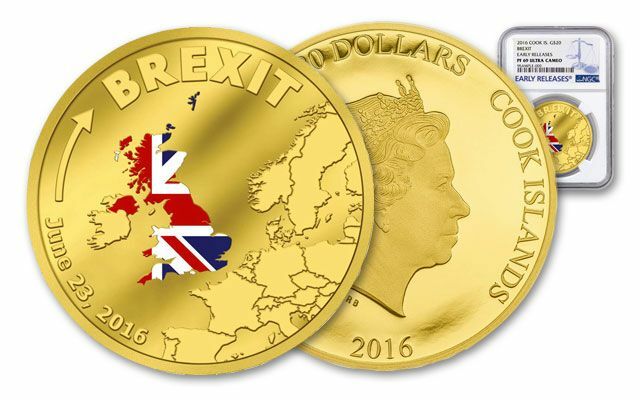 coin presents the outline of the UK colored with the Union Jack opposite continental Europe. The obverse features a portrait of Her Majesty, Queen Elizabeth II and the date. The proofs are graded near-flawless Proof 69 (PF69) by Numismatic Guaranty Corporation (NGC). Currency markets took a tumble the day after the vote, and gold rose. Some experts are predicting the uncertainty will continue. 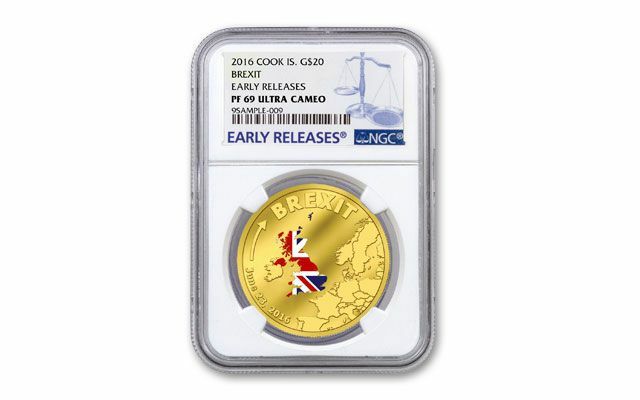 From a collectability standpoint, this one-tenth ounce commemorative struck in 99.99% pure gold is the first and only coin we are aware of struck so far for BREXIT. 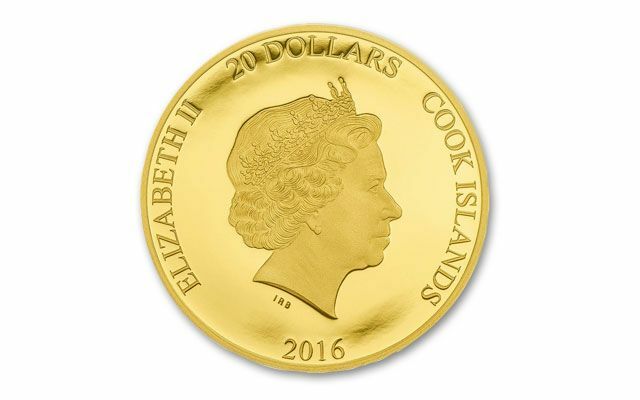 It has a $20 Cook Islands Legal Tender face value. Add this historic first issue to your collection today!